Cheer on your Arizona State Sun Devils in this Abe Thompson Adidas Arizona State Sun Devils Men's Replica Football College Jersey - Black from Nike! 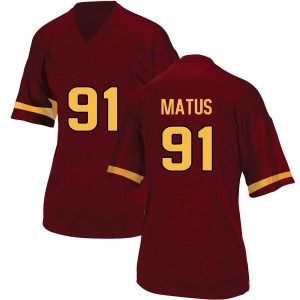 Cheer on your Arizona State Sun Devils in this Youth Kyle Jones Adidas Arizona State Sun Devils Youth Replica Maroon Football College Jersey from Nike! Cheer on your Arizona State Sun Devils in this Alexander Otero Adidas Arizona State Sun Devils Men's Replica Football College Jersey - Black from Nike! Cheer on your Arizona State Sun Devils in this Andrew Noble Adidas Arizona State Sun Devils Men's Replica Football College Jersey - Black from Nike! 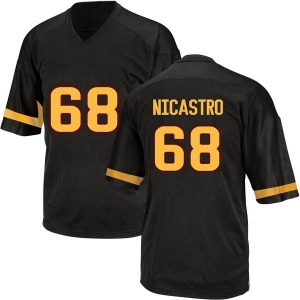 Cheer on your Arizona State Sun Devils in this Anthony Nicastro Adidas Arizona State Sun Devils Men's Replica Football College Jersey - Black from Nike! Cheer on your Arizona State Sun Devils in this Youth Langston Frederick Adidas Arizona State Sun Devils Youth Replica Maroon Football College Jersey from Nike! Cheer on your Arizona State Sun Devils in this Austin Witherill Adidas Arizona State Sun Devils Men's Replica Football College Jersey - Black from Nike! Cheer on your Arizona State Sun Devils in this Youth Loren Mondy Adidas Arizona State Sun Devils Youth Replica Maroon Football College Jersey from Nike!